Mmm, the taste of female oppression? 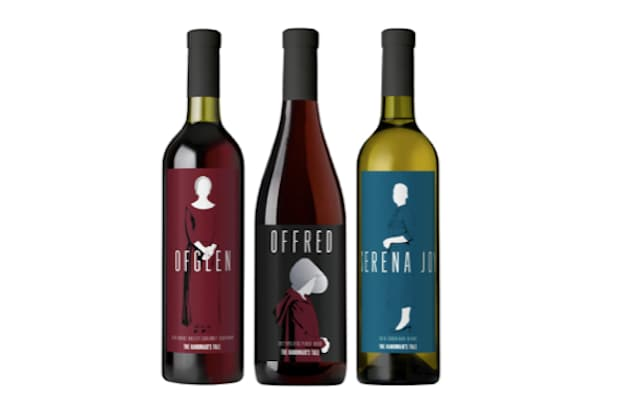 Wine curator Lot18 just launched a collection of wines dedicated to three “Handmaid’s Tale” characters, perfect to drink while discussing Gilead-safe topics, such as the weather. Fans of the Hulu show can imbibe red and white varieties inspired by Offred, Ofglen and Serena Joy. The 2017 French Pinot Noir inspired by Elizabeth Moss’s protagonist is described as “seductive, its dark berry fruit and cassis aromatics so beguiling it seems almost forbidden to taste.” The wine is meant to reflect Offred’s attempts to use her sexuality to protect herself and accrue some power in the Waterford household. Ofglen, a Cabernet Sauvignon, pays tribute to Alexis Bledel’s rebellious character by using ingredients from the Rogue Valley, with notes of cherry, plum and coffee bean. Serena Joy (Yvonne Strahovski) inspired the only white in the collection, a Bordeaux Blanc. “While the wine may initially come off as restrained, a few sips reveal it to be hiding layers of approachable white grapefruit and lemongrass, backed by weight and concentration,” reads the description. 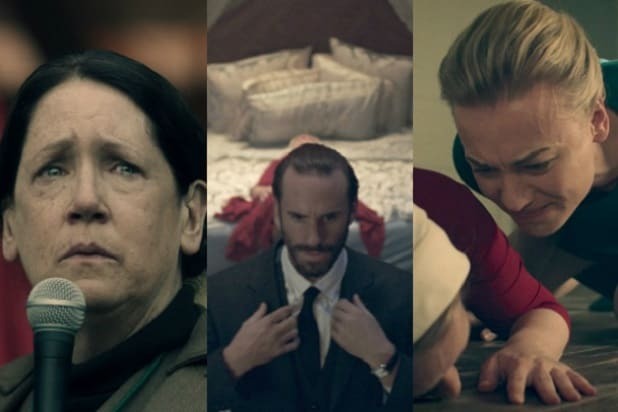 The Season 2 finale of “The Handmaid’s Tale” airs Wednesday.